Hi everyone, below you can find replies to your questions we received in Ask Us Anything. There were tons of things were asked more than once, replies to those were combined. Pure suggestions were not commented on and opinionated questions were not replied to, otherwise everything was answered. I've tried to organize the questions by the craft and forwarded them to people who would be best to answer them, some personal questions were answered by all team members. Our producer Hannes has been away at the time of this Ask Us Anything, so Phil in his role as an interim producer has answered some production questions. Probably not, at least not in the foreseeable future. The render distance is the limitation of the current engine we have. Is there any chance we might upgrade it? There is always a chance, but the hard truth is that it would require many months of work to convert the game and everything in it to the latest Avalanche Engine. This is not something we consider a priority for theHunter right now. 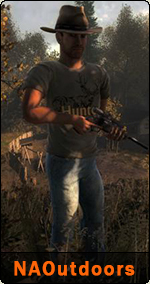 I have a question regarding the TheHunter T-shirt the dog is wearing in the status update! Where / When / How can I get it? We’ve started to look into the possibility of creating these and similar T-Shirts and other merchandise. I don’t know when this will happen though as I currently don’t have time to allocate to this task. Did EW ever pay back Avalanche all that was invested? Don’t know, I’ve seen Dennis and Morris hunting pretty heavily, I’ll check their HS for you The competition hunt got postponed mostly because in the last months the team has changed significantly but also because I’ve been swamped. I promise that we’ll revisit this project soon though! How long will it take before someone will slam his fist on the table and Say: "Now we gonna show all those nay sayers in the forum, that we really care and that we can and will be the best Hunting game developer that is"... no offence meant to any side but those "fix fix fix threads" get out of hand imho, i mean as rightful as they are how do the devs feel of them? Do realize you just opened the biggest can of worms in the forum's history? Yeah, but we like worms! How many people access the Wiki and which pages are accessed most? Here is some data for the English wiki for January 2016: 48,600 unique users (42% new), 357,808 page views. Top 10 most popular pages in January were: Main Page, Troubleshooting, Huntable areas, Weapons, Missions, Species, System requirements, Whitehart Island, Logger’s Point, Evergreen Reserve. Did you ever consider participating at a gaming convention? Not actually. Do you have any suggestions for us? Where do you - the developers - see the game in five years? In ten years? Will development stop at some point, the Hunter being (even more than today) a niche game for the connoisseurs for a few more years, opened for offline play when servers get abandoned? Or do you think the game will still be developed for more than 5 or 10 years? I definitely hope that the game will continue for 5 or even 10 years (it will need to undergo some significant changes, of course) and I believe that this is more than possible, as I love it deeply and I see what amazing potential it has. However, I am not the one in charge and I don’t know whether my beliefs are shared by the decision-makers in this case. I think that your guess about the offline mode does make sense (it’s just my personal thought, not based on any facts or internal knowledge), but I am not sure whether this will be possible. Can you guys bring back the beta? We are planning to do open betas for as many major releases as possible in the future. Did you have a good / What did you get for Christmas? It was lovely thanks! I spend it in a wood cabin in the north of Sweden with my boyfriend and cat and no Internet. What was the best live concert you ever attended? I haven’t been to many I’m afraid. But the one I had most fun at was the Ukrainian band Perkalaba, which I attended when I studied in the south of Germany. Would do it again in a heartbeat! On a scale from 1 to 5 (1 being shoddy, and 5 being the best since sliced bread) what does the entire team honestly think of the games condition as far as thing that work correctly, and things that don't? It’s a tough one. When I judge by my own experience when playing, I would give it 4 as I almost never experience bugs or other big issues (not counting Moose moving weirdly on the hills of Hemmeldal and other not aesthetically pleasing stuff). When I ask people whose opinion and common sense I trust and who play the game a lot, they give me 3 (some issues, but in general it’s playable and enjoyable). When I come to the forums, I see in most cases 1 and often not even that (everything is totally broken and the apocalypse is upon us). So, taken all this into account, I’d say 2.5 - 3. Can we see this mystical, magical to-do list? Eh, sorry but no See my reply to question 1.
Who in EW staff plays TheHunter the most in 2015 (and how many hours / kills - if you can tell )? On beta, where the devs mostly play and test, it would be probably Daniel-san, David Lucas a.k.a. NAOutdoors or Danny. On live NAOutdoors. Hampus is pretty great too, he always wins when we do our internal hunting competitions. Can we expect more interaction with theHunter: Primal as far as listening to what players want? We do our best to listen to the Primal players and note their wishes, but I can’t promise that any of these will happen, or whether they’ll happen at all. The main reason is that we are a small team and we are still trying to figure out how to juggle both games. theHunter is our main product and it will remain so in the near future. Having said that, we have some plans for Primal too, so I hope there will be some good news this year for dinosaur-lovers too. Does EW have its own CEO, and if so who? No, Expansive Worlds does not have their own CEO anymore. We share our CEO with Avalanche Studios and all report into him (you probably know him well as it’s our former EW CEO Pim Holfve). Anna, in her executive producer role, is probably closest to the CEO if you think of this title as the main person in charge. Have you ever considered to make the game available for PlayStation and Xbox? Did you have a good/What did you get for Christmas? I’ll go with Anna’s 3.5 out of 5. Looking at the plans we currently have, it will be balanced between providing new content, better accessibility and fixing mean, old things. Which is more important right now, short term monetary influx, or longevity of the game? Who make the decision on what gets done in the game? Are there, in the near future, any plans about a "bug fixing marathon", where for some weeks/months, you'll only focus on fixing the current bugs before adding new content? We did something similar in January and have plans to make it more into a habit. Dennis, our new QA Manager is striving for the same goal and the recent releases have taught us some valuable lessons. However, there will always be a balance between maintenance and new content, as we have to sustain the business in all ways possible. Running a business is always about balancing trade-offs and they usually come down to (1) customer demand, (2) available resources and always (3) finances. At this point in "The Hunter's" lifecycle how are you balancing your trade-offs? theHunter is all about customer demand. Rarely - in my experience - have I seen another game that takes in so much feedback, ideas and energy from its community. We love all the suggestions we get, what people say, good or bad, that is what we come in every day for. We are doing our best to align it with the resources we have in order to continue working with you. Could you share your goals for the next 6 months (Jan-June). Details are not needed, but company direction would help us understand what is happening and why. Public corporations update their stockholders several times a year. We may not be stockholders but we sure are investors - ones who certainly share interest in the game's success. Will we see a restructuring of multiplayer this year, with features like "real" multiplayer, “guild” aka hunting clubs, clans etc.? Are there any plans for fixing and improving the website sometime soon? How do you think will the transition to a modern the Hunter work? Will you be forced to upgrade the engine at one point to keep it attractive to players? Will it be a completely new game or will it be a slow transition on the existing platform? And what will happen to the skills and achievements and the loads of stuff that veteran players have bought? Are there any plans for something like theHunter 2? Will you ever rework the "free-to-play" model of the game? There won’t be any dramatic or significant changes to the existing free to play model. We want to make the game more accessible to new players and guests however, as you have already seen in the latest guest experience update. A lot of people are really excited about this new technology and we get a lot of feedback that theHunter would be a very good fit. What is most surprising (unexpected / not planned) result of changes introduced in 2015? There have been quite some positive as well as negative surprises last year and most of them tend to have the same lesson. On the positive side, the release of the labrador retriever was very successful, even better than we had hoped for and anticipated. The same goes for Whiterime Ridge. On the other hand Bushranger’s Run did not go down as expected. It’s an example where a lot of things went wrong, from initial expectations to execution and more. We learnt a lot from it. Whiterime Ridge was both positive and negative as we were not prepared for the technical issues which raised a lot of important questions to our processes which we are getting tackled. It was a year full of work with a lot of releases, ups and downs. Which part of the game you going to focus the most in 2016? Can you share with us your early, or quarterly business report? I understand that it would not disclose any $$ amounts, that is none of our business. Maybe something a little more in depth than the weekly update. Is there any chance that might be possible? Most of the time we are trying to bring together metrics (revenue, player behaviour, etc.) and your feedback to get a clearer picture on how successful we are. We don’t want to push short-term strategies to boost income for a limited period as the passion to make everybody, who enjoys this little gem of a game, happy is much stronger (and a more successful strategy in our opinion). Who puts together bundles and sales, and how much thought goes into sales and bundles? I started making bundles and sales in April last year. There is room for improvement as I still learn new things, hunting strategies and the like almost every day. Generally, we try to make bundles and sales fair, useful and align them with on-going events. It might not be perfect yet but we try to incorporate all the feedback we get into the future promotions. Community-created bundles and the like are also a way we try to stay fair and transparent. In the last year we had to change a couple of things related to sales as they simply did not bring in the effects we hoped for and so far nobody seems to really miss these things. Have you ever thought of adding a discount system to the store? For instance iRacing who have a very similar pay model to you offer discounts depending on quantity of items already owned, for 25% of items you get a 10% discount, 40% of items 25% off, if you own 100% of all content I think you then get 40% of any new content. There are discussions regarding these kinds of systems. Especially anything that makes purchasing fairer in terms of content you already own are interesting. Most of the time these features get little priority as we rather create a new animal, reserve or core game feature. Are the bugs going to take priority over all other game aspects until the game is in top notch working order? That means every bug that keeps the gameplay and stats from working the way it should. We are stepping up our initiatives regarding bugs significantly with dedicated hirings, tools, open betas, planning and more. It has been one of the core learnings last year and we need to get better in that area. Will there be any solution for duplicate items (weapons) owned, such as exchange or refund of em$? Or trading with the community? If you ask for features in your surveys (e.g. inventory load-outs, bait refill from website, vehicles), do these features then go on a to-do list? Yes and a lot of people push for it. Alena is taking in all requests and reminds us about critical things regarding the game and community's sentiments on a daily basis. Why is the anti-cheat system ineffective at catching even obvious abuse, and does EW have any plans to make it better? With all of the cheating rumors and "witchhunts" and some of the examples shown being very obvious, I was wondering are there protocols in place to catch cheaters and if there are, why did your programs not pick up players killing over 300 animals in under an hour and all from under 4 meters. Would something like this not raise any red flags in whatever means to catch cheats the theHunter uses? It is a very good question and definitely another area we need to improve. For now it’s mostly coming down to available resources and prioritization. When creating new content, features, etc. we aim to please as many people as possible. Not everybody is a competitive player, but everybody would enjoy a new animal, to make a very basic and simplified example. Of course we want to cater to all player types and what you enjoy. We are lucky that you, the community, are so vigilant when it comes to cheaters and you are able to at least identify and reveal them. Will the older animal models get fur in 2016 (eg. dogs, pigs and bears)? 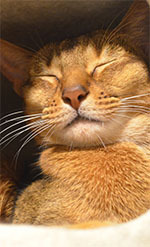 We are currently discussing some animals that might need a facelift, and this could be part of that package. But we don’t know what animals and when. Will the moose be remodeled any time soon? This could be a part of the facelift discussion. Nothing we know for sure at this moment. I like the additional "junk" we stumble across in-game...ie old rusty cars, milk cartons ( )... I really thought I would have seen some old junk dune buggy way out in BRR...Is there any chance you could put a few of those gems in any of the future reserves? These are always a part of our intention and planning when creating new areas, but these features are also the first to be cut when time is scarce unfortunately. But if our players enjoy it we will put more effort in making more. How about sheds, or arrowheads as collectibles? Will they ever be introduced? This we do not know, but we are always open for suggestions about future collectibles. Sheds have been discussed and we’d love to bring them in at some point. When are you going to replace coin medal icons with the ones chosen from that competition years ago? Step 1. Google, yes. As artists we get all initial information from Google. We research mostly vegetation and the overall look of the new landscape. Step 2. Discussions with our game designer about features and vegetation. He then does proper research and makes a game design. Step 3. Together with our game designer we then go through what vegetation is necessary and what we have to cut in order to make it believable and doable. Step 4. Build and deliver. Here we also ask our dedicated team of internal and external experts for their feedback. What would it take to reintroduce nice trophies and replace the medal for the regular competitions (answer "time" does not count )? No comment. But if the old trophies are not popular then all we need is **** (insert the word that doesn't count). Marcus: Got family fun time and got money and food. Tomas: Christmas was pretty ok. I got myself some quality time with my bed. Nudge nudge, wink wink. Mostly caught up in actually playing other games. Marcus: I was young, slightly drunk and attended to the yearly town festival in my hometown. Timo: A long time ago I saw Bob Marley at an amusement park called Gröna Lund in Stockholm. Tomas: Randomly happened upon a Mexican band called “Descartes A Kant” in Madrid last summer. Noise-core/Rock. Pretty darn fantastic concert. Varm night, beers, outside in a small square, excellent performance, girls rocking out completely. Gonna be hard to beat. Marcus: Since sliced bread is my primary source of food, nothing really deserves to be close to it in a scale. But on a scale from shoddy to sliced bread, I’d give it about a hotdog, not too good, not too bad. It works well as a food supplement for sliced bread on occasions. Tomas: I’m a pretty harsh person since I’ve been on the team a long time and will say 2. That said, it is improving every day. Hopefully we will hit a 3 soon. Did you have a look at the Just Cause 3 Engine to see how good it would be for theHunter? Can we expect some changes to the older species, particularly the AI? Will the SP chat ever be brought back? When crouching you sneak but I would like to see possibility to sneak in standing walking stance to. Is this going to be added in the nearby future or never? Is the angle for shooting ducks ever going to get set to shoot and look upwards @ an 90 degree angle? Or downwards, eg. from a tree stand or a hunting tower? Will the Huntermate be updated any time soon? It has had no modernization for many years. I wish that it would be possible: 1) to track an animal with the weapon in my hand and when passing a track automatically have those dates visible in a small window on screen; 2) for the Huntermate to remember and separate up to 3 different tracks; 3) to be able to identify and show an animal sound without losing the current animal tracking. What programming model does the team employ while developing the game? Seems like the waterfall model. How important is requirement engineering and specification report to the overall development of the game? How documented is the programming and process through the years? Does the team develop a list of Test Cases prior to release? Or do they just do fix as they see a malfunction or receive a bug report? Will the game be VR compatible any time soon, has the team looked into SteamVR??? How up to date the hardware/software the EW team use? How long have you been programming and what did you do before you became a programmer? What type of regression testing do you use? Is this testing monitored? What type of source code control / release method do you use? Is it processed more than once? Will we ever be able to shoot animals in the prone position above or below the present limitations. It is very frustrating, especially in VDB when hunting the Ibex and in many areas of WRR and Hemmeldal, to realize that you cannot shoot in the the prone position. At a certain time during a hunt, we can read in the sky the words "LOL" and "LOVE". Was that programmed (planned) in the game or it just happens like that? Why don't game updates include a detailed change log for users to see what has been changed? That’s exactly what they include. We release them both on the launcher, on the website/blog and forums. If you could start totally new from scratch, with something like theHunter 2, would you like to support only one system looking at the future, like Win10 with DX12, or would you still try to support a wide range of systems? Will older animals get modified A.I. or animations, like deer rubbing bushes & trees, sparring, rutting, scraping? Bears catching fish and leaving fish bones behind? Other animals running from a predator's presence? Can you tell me why wound time is measured in earth time instead of Evergreen time? After all, the animals are on the evergreen planet where time moves twice as fast and not here on earth. Why is my character hovering 6" above the ground. Is it because of reduced gravity and the strange physics of this planet? The research is a combo of online research as well as consulting real life hunters from all around the world. I usually start out doing some online research and then sending some questions to someone with actual experience in the matter. l you ever fix the permission list for some weapons vs. animals? For example for the fox (.22 is used for fox worldwide, also nearly everything bigger than .243 - it is a vermin over all ) and Roe deer (9.3x62mm permitted for roes? isn't it overkill a bit… a huge bit?) Right now in game it seems that fox is a trophy animal and also hunted for meat while roes are just vermin. Will this ever be addressed? Also, do you do your research when you decide on weapons’ permissions? The .22 LR is not permitted for fox worldwide and ingame the .22 LR in theHunter is a tad too weak for fox. Foxes are not always considered as vermin. As for the massive amount of weapons allowed for Roe Deer I suppose there is room for revision there. Weapon permissions are based on existing hunting laws but also game balance. Are there any plans to make brr more exciting? For example, releasing more animals there, such as Axis Deer, Fallow Deer, Dingo etc.)? Are there any ideas or plans to release Upland Game Birds (such as Ruffed Grouse, Prairie Chicken/Sage Grouse, Ptarmigan) to any reserves in theHunter? There are always plans - as well as ideas! With the recent addition of new Waterfowl (Northern Pintail, American Black Duck, Gadwall) to Rougarou Bayou, will we see some new geese (i.e. White-fronted Geese, Snow Geese, Blue Geese, Grey Geese) added to any reserves for 2016? How often the team check the Thoughts & Suggestions sub-forum? How important is that section for you, when deciding what to add/improve next? We check it several times a week. It is a very important section where many ideas have made the jump from forum thread straight into the game. We have a long list of improvements that we want to do to basically all animals. It remains to be seen when we have got the time to implement them. Will we ever see continuous gameplay in theHunter, such as dedicated servers/ deer herd management? I like to hunt from a tree stand or ground blind. Are there any plans to add feeders for Whitetail, Blacktail or Mule Deer to make this type of hunting a little better? Deer feeders (or salt sticks) is not something we have planned for the game. With regard to the discussion about playability and realism, are you considering upping the "difficulty" of theHunter by introducing things like bullet drop or deflection? What changes will the outcome of this discussion bring for the future? Proper bullet drop would only make sense if we had a much longer render distance as those effects need the projectile to travel longer to show themselves fully. Bullet deflection due to brush or other things would be really cool but the way our vegetation is set makes it difficult to simulate properly. Why isn't capercaillie in the game? Mainly because we have no way of having perching birds in the game at the moment. Without some good old fashioned “toppjakt” (tree top shooting) I think the capercaillie hunting experience would not be complete. Will we get individual ammo sets for each weapon instead of the 30 limit for each type? It is not something that currently exists in our planning. Can we expect longer range for sights and binoculars? If it would make sense with the current rendering limitations then we might add more powerful optics. Are you avoiding species that are protected/endangered/under threat in real life, or is it just coincidence that we don't have any of those yet? I’d say that with the Bison we pushed the limit a little bit in the sense that hunting bison is quite regulated. Are Expansive Worlds planning incorporate a new scenario of Africa and the Big 5, into the game soon? Have programmers that idea in your head? It is not something that is planned right now. I presume that some weapons, eg. .300 bolt action rifle, do not have 12x50mm scope because of the "game balance"?, albeit suggested many times by the community? Is this true? This is partially true but we are looking into some more exciting scopes for the old bolt action rifles. What is your base for "game balance" when it comes to weapons? I presume that game balance is a mix of weapon penetration or its performance and a list of permitted species per weapon. Am I correct? Please describe your reasoning. The reasoning is pretty simple: No weapon should be available and perfect for all species in the game. Added to this is that no weapon should be too weak to effectively kill the species for which it is ethical for. Why are some weapons “nerfed”, such as 9.3x62 and .30-06 rifles, and some buffed, such as 7mm rifles, beyond any logic? Right now, all 7mm Magnum rifles are cheaper, lighter, more stable and have all the optical sights unlike to what 9.3x62 rifles have, and on top of that, they have better performance. We are very hesitant to change the ballistics of ammunition since it will affect players in many ways: When nerfing people will be upset because their weapons are not as good as they are used to. When improving weapons the players who bought another weapon based on the power of it will be upset that they thought they bought the more powerful one. And then there is game balance: We cannot make every gun a cannon because no one would use the weaker ones. Some weapons that we have in the game will not prove their true strength until the bullet has traveled beyond our rendering distance. So it is difficult to try and simulate something would never be noticed in our game. As for the 7mm Magnum, it is not as powerful as the .300 or the 9.3x62 in-game. Why isn’t .30-06 rifle ethical for bison? With bullets we have in the game, .30-06 should have slightly better performance than 7mm and plus it has larger diameter. The .30-06 in the game does not pack enough punch to drop the bison we have in the game. Why does .45-70 rifle has 12x50 scope? It is not a cartridge or rifle (I am thinking on Marlin on which it has been modeled) designed for long range. The same goes with the 9.3x62? We do not copy real world rifles to every detail. There is some creative freedom involved. Do arrows hitting animals actually spook other animals nearby? Is there a set distance for bows where the arrow hitting the animal will not spook nearby animals? How far away do animals have to be from each other when there they cannot hear the arrow hit the other animal? Animals that are hit do not spook other animals but I think it would be more realistic if it did. Hmmm… putting ideas into my head here. Do crippled game scare other game in the immediate area? Only if the crippled animal is spooked. When will we have bloodhounds who are able to help tracking down a shot/hurt animal? We want to make more dogs but “when” is a question I am not at liberty to answer. What is the chance of squirrels in the game? You have birds and stuff for ground hunts but what about a tree animal? We would need new tech to get animals into the trees but it is definitely something we want to do. It’s just a matter if we can. Is trapping a possibility to be added in? Maybe for small game if we can make fun gameplay around it. Will hunting lodges with trophy rooms be put in? What new reserve would you most like to see in the future? Anything that stands out from what we already have either in gameplay or visuals. Will real acting predators ever be introduced into the game? Because the brown bear acts like a big rabbit ATT. Well, like I stated before: There is a tonne of things we would like to improve in animal AI. If we will is up to time limitations and budget. Or we might just put rabbit ears on the bears. Will WRR ever get predators like Wolf? Are the Sitka antlers ever going to become bigger to score at least 130? They should be able to get up to those scores but looking at the leaderboards it seems like something is amiss. Investigate this, I shall. Will transportation like horses, atv's, or jeeps, ever be introduced for SP? Vehicles and horses are a hotly debated topic both in the community and here at the office. If we are making anything like, this is written in the stars. Will the game ever have birds like Owls, Hawks, Eagles, Jays, Crows, Magpies, Chickadees? Hunting for birds of prey will never be in the game. As for other birds like corvids we would need some new tech to make them sit in trees. Will avatars ever be able to swim or cross deep river spots? Swimming with all that equipment is not really something I feel is realistic. How many real life hunting expeditions include swimming? When will the inventory pre-slots be implemented, and if you guys have a general idea of how it will look like, share some info! We have a ton of shotguns right now but who knows? Well, I do. And I ain’t telling! What about fishing? Or at least shooting the fish seen in the pools and lakes? I would love to use bows to shoot fish! If we would implement fishing it would be a complete fishing gameplay and not just shooting fish with a bow. However, fish is not on the menu yet. But venison is! Yum! Will there come a portable boat / canoe for RE and RB, etc.? After seeing that picture: Yes, we will indeed arm the animals. The year of 2016 will be a bloody one indeed. Would you ever consider adding in a feature in single player where you would be able to run a deer management program? For example, you get a certain amount of deer in your reserve, and you have to kill certain amounts of does and older small deer. Maybe bucks grow every year until they are mature. Basically just like in real life management situations. Thanks so much for the game and what you do. HAPPY NEW YEAR! It is a cool idea but nothing that is planned. Being able to change the clothes to fit the reserve with one click would be nice, & then have the ability to change an items or 2 (hat for instance). This has been asked for many many times. Is there a programming nightmare preventing it or is it just far down the list? Val Des Bois. It would be nice to see at least one more animal in the high country, like a marmot. Something to provide a little variety, as long as spooking them won't trigger the Ibex to spook inside of 60-80 meters (without a shot fired). Is there any serious thoughts on introducing them? I agree that it would be nice with more animals up there but those ibex will most likely be spooked if these newcomers run towards them. Hi, I am from Texas plains where you can see 50 miles in any direction for the most part. We judge our shooting distance by yards, not feet or meters. Would it be possible to get a rangefinder that reads in yards? Definitely possible to do but I don’t think we would add that due to the demand being too small. What kind of measures have to be followed in order to use a manufacturer's name/logo? As in Blaser or Parker. I understand permission probably has to be secured, but I'm just curious how much info they ask for or do they need to look over the game model? Has Remington, Winchester, or Henry ever been contacted? They have some classic models that would be nice (some in the store already look like some of them-- just no name on them). Are there any plans to put geese over water or ducks in fields? Will animal spawns increase? Sometimes it can feel like a ghost town. Is there any chance that the RB reserve will get Alligators? Alligator hunting, as done in real life, does not make good gameplay. Will there be face masks to match the other camouflage outfits? Face paint to match the other camouflage outfits? Will there be eye wear options to use along with face masks and/or face paint? Will there be animals like tigers, lions or elephants in the game? It is not something that is planned. Have you ever considered adding some kind of Balkan hunting reserve? Nope, since it hasn't been asked for to any greater extent. Will you guys work on sunglasses that actually do work in game like taking the blinding sun and air out? Being a vivid bird/blindhunter, I would love that. The sun is already blinding at 10 in the morning. We really should now, shouldn't we? It is not planned but would be awesome. The description for the 8-57 k98k rifle states; " This rifle is extremely accurate and deadly at long range." If that is the case, may I ask why it only has a 4x scope? I can't even see animals at long range with this scope. There are many older players here who may have less than perfect vision. Won't you please take this into account when designing scopes? There are scopes that have better magnification than the one used on the K98k. And for someone with skill the K98k is deadly at a long range. However we wanted this rifle to be a bit more of a challenge than the modern rifles and that’s why it has a simple scope. I wanted to ask if you've ever thought about hunting ground where they are in the same place alternated seasons? For example, in spring and fall would crash through the geese. In winter they migrated reindeer and wolves etc. And either I could choose the time of year alone, or would have been based on the actual date. It would be like in reality, although when I go somewhere else, but otherwise I have all year long in the same place. It would be an enormous task to have changing seasons in the game. This is why it probably won’t happen. 1. It has been considered. 2. No, hunting is not only about skill but also about luck. 3. Nothing we have thought about but wouldn't it be lovely if a low Harvest Value or Trophy Integrity influenced your score negatively? Is there any plan to add new animals into the known reserves and if so, where and what? Are you going to reward players who gathered mushrooms and other collectibles? We have some experiences with this. During previous events we know that this caused players to lower settings and just run around looking for collectibles. This makes us very careful about adding rewards for collectibles. Are there any plans to change the current comp system, in any way(s), and if so, how? The comp system is in major need of a re-haul. If one of the reasons for there being two types of comps(single player and multiplayer) was to promote more social gameplay, that reason is now long moot. As things now stand, it instead promotes the exact opposite. Hosts lock down their servers when attempting their MP comps, for many good reasons. Speaking for myself, I did not buy all of my equipment for the purpose of my sole entertainment, I bought it to share with others as well. I, and others, believe that simply making the comp system a single, unified entity would actually promote co-play instead of the current dual-mode system which crushes it. Simply put, if comps counted in any type of hunt, solo or multiplayer, this would promote more players to host, and join, MP hunts more often. The competition system is under constant debate. We have yet to make any concrete plans about it. It has been stated that the animals have four basic, non-spooked behaviors; wandering, eating, sleeping, and drinking, and that the drinking animations have never actually been created. This community begs for more realistic animal behavior, yet even the drinking animations are still yet to be added. My question is; Will EW start introducing more realistic and visually apparent animal behavior, and if not, why? We would like to but it is not planned yet. Getting an animal to stand in the right position in relation to water and the rest of the environment is quite a difficult task. We might add other visual improvements to animal behaviour but that particular one is not going to be easy to implement. I had a very good Christmas and my favourite gift was a nice scarf from my niece which keeps me warm during this cold season. I think sliced bread is overrated. Give me a good solid lump of bread I say! Will it become possible for participants in MP games to put their own equipment in a MP games on the host game/map and use them? Personal bests. It was nice, years ago, to be able to access my Personal bests all the way back to season one. Will that ever be possible again? This is regarding the moose. Will you ever change the calling sounds to what a moose actually sounds like? I mean you live in the country with the tightest moose population in the world, and that you actually used the standard sounds like everyone does, really surprised me when the moose first came. I do understand that the moose doesn't make a very loud sound in real life, but i have some ideas on how you could fix that, which would give the experience of hunting them, much more excitement. Greg: Moose are actually pretty silent animals, which is strange considering their size. But redoing old sounds is definitely on our list! When the sound guy comes to the office to fire weapons for recording them, does the whole team have to dodge? Xan: Only when I’m having a bad day. Greg: I shoot weapons only to protect myself when Xan is having a bad day. Xan: Yes thanks. Nothing too exciting, books, scarves, glögg. You know, all the essentials for surviving the grim Swedish winter. Greg: Excellent Christmas in the French countryside with my family. Good wines and crappy weather. Xan: Once, I was dragged along to a weekend festival by a friend of mine, purely to cover the cost of a spare ticket. I paid no attention to who was going to be playing until I arrived at the campsite. Then I discovered that three of my favourite bands were in the lineup, all international artists that I’d never had the chance to see before. So that was a pretty awesome surprise. They were all excellent. That’s probably the best festival/gig I’ve been to. Xan: It depends a little bit on how I interpret the question. There’s how “correctly” the sound works for the player (you) and there’s how “correctly” the systems that we use to implement content work (which affects us here at EW). theHunter is quite old now, so a lot of the systems we use to implement sound feel a little dated. I believe they were fairly well conceived at the time but these days, they limit what we’d like to do (and can do when we get to use newer tech). I’d give the correctness of the tech a “3” on your scale. The way I’ve described how we feel about the tech has an impact on how correctly the sounds work in game, for you, the player. We strive to deliver the best sound designs we can, using this tech. I think we use the tech we have pretty well. We know how to get quite a lot from these old systems; like a mechanic squeezing every bit of performance they can from an old engine. But ultimately, we have to design sounds that behave in a way that works within our tech. So in the correctness scale… I wouldn’t give us a 5, because some bugs get past us, it’s hard to mix the game well and there’s some older content that could be improved upon. But we do manage to do most of what we plan to, so the sound ends up working the way we want, which means I’d give us a “4”. It’s my hope that you guys will notice some improvements moving forward, as we better leverage the older tech. We’ve added some small details recently, such as different firing sounds for the Mule and the Stallion. I think Greg did a great job in making distinct sounds for different waterfowl decoys. We will try to continue with that level of detail. I know Greg wants to revise some sound effects for existing features and take another look at the sound mix for the reserves. Greg: It is a bit early for me to give a good answer to that question since I just recently started, but we have now a great opportunity for creating new quality content as well as making existing assets working and sounding better. I think we are aware of our strengths and weaknesses, and that is a very solid base to do a really good work. How do you work? Can you tell us how exactly you fight bugs/try to keep new bugs out of the game? That is a very good question, since I am quite new to the project and there is issues a bit everywhere I choose to go through all the very recent issues first. I have also gone through a lot of the very old issues and trying to get a clear picture of which areas is not functioning as they should. Some areas is more critical than others so I prioritize crashes and other really game breaking problems before moving over to other things. This does not mean that I ignore any issues at all. As for keeping new bugs from appearing I do have quite the knowledge of how to break things, I will twist and bend everything until I feel good about releasing them. 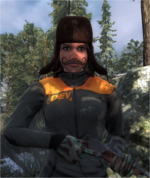 How severe do you think the bug situation is in theHunter and how well do you think that it was handled until now? Because there are some bugs that make the game crash then I would say that right now it is not in the best shape but there are things you can do to avoid them until we have fixed them. Because EW have not had any QA like me before the process have not been good at all but that is changing and becoming much better. Will EW start opening up actual beta servers on a regular basis before adding new, major content instead of using the live game as the main testing platform, and if not, why? Yes we have already plans to do that for the new animal that will come to Whiterime Ridge. It was great! Spent it by reading up on theHunter, going over some of my Japanese I studied a few years back, played games and visited friends. I did not get anything sadly except a few games I bought for myself. I have never been to a live concert but I am thinking about going to one soon, just need to see if there is any good ones around. 3, I really like the game but with all the bugs right now I cannot give it more then that, I will work hard to deliver a better experience for everyone and crush the bugs. I saw a video that showed a then and now of theHunter and honestly the animations from a few years ago were a lot more realistic. Is there any chance they will be changed back to how they used to be? Hampus: The short answer is no. The slightly longer and more technical answer is that bringing back the old animations simply isn’t possible. In TheHunter before multiplayer your character was basically just two arms and a torso. Currently we’re using the same ‘new’ full body character for both our third person and first person animations. Since the old and the new characters are so different there’s simply no easy way to implement the old animations. All that being said, we do agree that many of the current first person animations could be improved and we are as a matter of fact working on some of them as we speak. I can’t give you a timeframe for when you’ll start to see those improvements but rest assured that they are coming. Morris: I’ve seen that quite a lot of people on the forums want the old animations (pre-MP) back - and I can agree to some extent, but why bring them back instead of making the current ones better? My vote goes to reworking them (some of the old ones weren’t that much better imo). Will gun animation ever get worked on based on the present realism? Hampus: This ties right into my previous answer and the answer is yes. Will we get a new, more realistic way of weapon handling? (eg: bringing back the old Anschütz and Lever Action Animation, bringing us a more realistic way of Holding your weapon, changing stances without staying scoped? Hampus: Like I said above, bringing back the old animations simply isn’t possible but we’ve heard you and agree that there are many aspects of weapon handling that can be improved. Morris: I’m still new here so I might be wrong, but I don’t think we want to bring back the old animations - sure, some of them look better than the current ones but they can be made better. I’d rather rework the older weapons (from scratch if possible/needed but mainly the big animations (reloads, etc)) - the Anschutz is one of those weapons that could use some love. Di*ck: I got nothing...not even a tie. Di*ck: The first time Rage against the machine played in Stockholm, 1993. Hampus: There’s really no easy way to answer that question, or I guess there is, put a number between 1-5 and leave it at that but I don’t think it would tell you much. From my point of view we have a really good game with an extremely dedicated community. We are very aware of its flaws but also of its strengths and we strive everyday to improve the game and your experience in it. As long as you keep playing and keep communicating with us. We’ll do our best to listen and focus our attention where it needs to go. I would give it a 4. The game currently runs for me without the majority of the issues that have been reported. The only reason for not giving a 5 would be because the occasional crash. The holidays were nice, It is a good time of year to spend with friends and family. Spending time with friends and family is gift enough for me. I did also pick up a new macro lens (AF Micro-Nikkor 60mm f/2.8D) that I can not wait to put to the test this spring on some wild flowers and insects.